Remember when Mercy was a huge dude? Overwatch's popularity is in no small part related to its bright, colourful and fun cast of heroes (and anti-heroes). The roster and surrounding universe of Blizzard's arena-shooter has helped to make the game a smash hit worldwide, as well as inspiring cosplayers, fan-artists and Rule 34 aficionados everywhere. 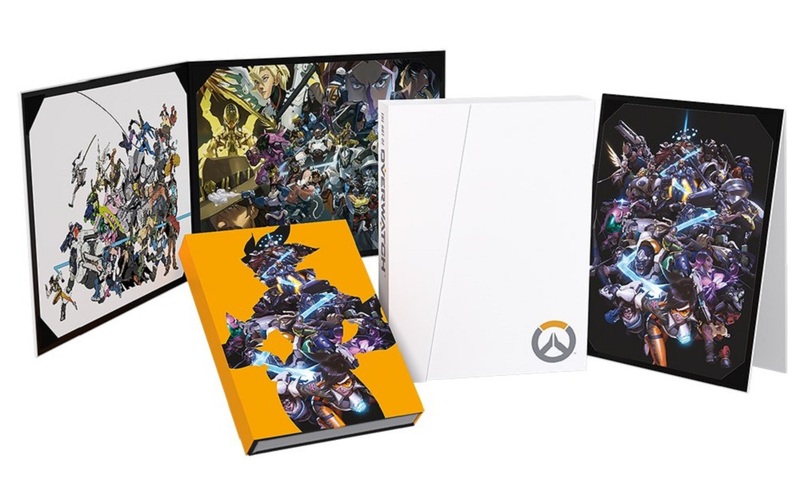 Now you can see all of the artistic decisions and creative choices that went into forming the Overwatch universe, thanks to the release of The Art of Overwatch, a huge tome from Dark Horse publishing. The new book features just over 350 pages over preliminary sketches, concept art and alternate designs for the game's locations, weaponry, vehicles and, of course, characters. The book is available in a standard hardback edition and a Limited Edition featuring a magnetic clamshell cover, an acetate slipcover featuring Tracer, and three glossy prints. For all you Kindle-lovers, the book is also available in digital format. The Art of Overwatch, from Dark Horse, is available now.